yessss! it's starting to get to that point where i can wear shorts and dresses more. this dress is really fun and i'm glad i got it on sale at target when i did. i just checked out the zac posen stuff at my local target, but they didn't have much (and i didn't really like the stuff they did have). 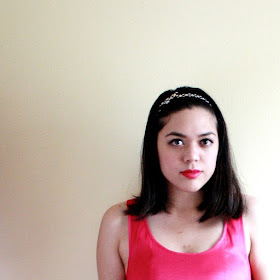 jennifer of prom mafia named me "bombshell blogger of the month"! i'm so honored to be featured on her blog. it's more than just prom-stuff--it features a lot of style tips too. please check it out here. also, mel gave me a couple of awards (thanks, mel!!). i've already received/given the sunshine award before, but the happiness award is a new one. i get to list 10 things that make me happy. i'd like to give this to sandy and julianne, a couple of blogs that make me happy! 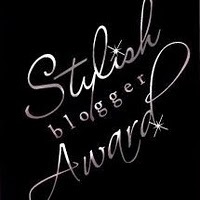 thank you marie, for giving me the "stylish blogger award"! for this award, i get to share 5 random facts about myself and pass it on. i can write backwards...like, mirror images of text. i used to do this in high school when i'd write notes to my friends and they'd need mirrors to read them. i'd like to pass this on to mo and maxie, two of my favorite stylish bloggers!